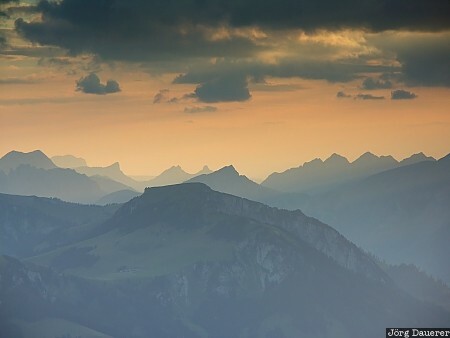 The mountains of Bernese Oberland seen from Niesen, Canton of Bern, Switzerland. This photo was taken in the evening of a sunny day in August of 2005. This photo was taken with a digital camera.